Hunting buck bedding areas has become one of the most popular techniques when it comes to hunting mature bucks over the last couple of years, thanks in large part to Dan Infalt and “The Hunting Beast” Forum. Being that it is a high risk, high reward type of style, it can be a tricky way to hunt, but it can really pay off if you want that consistent success. Sometimes sitting just outside a whitetail’s safe-zone and being a bit more aggressive is what it takes, especially when hunting public land. Let’s break down the tips I have when hunting this particular style. Mature bucks are all about survival and they will do their utmost to prevent predators from getting them. Some think that going back miles into public or crossing hard to get places like rivers, for example, is the only way to find those areas that are not being pressured. These are great spots to find, don’t get me wrong, but I have found that a lot of spots right off the road and around the parking lot do not get pressured as well. Don’t be afraid to check these spots out, it could potentially be your best. This also applies to private land. Try to think of that particular section where you have never stepped foot on or do so on a rare occasion. Section it off on the map and go walk that out during spring. You’re not always going find what you’re looking for, but if that section is a recipe for bedding and contains elements such as cover for example, you will be glad to have walked it. It will be difficult for me to break down all this into one paragraph as there is a ton of information that needs to be gathered when finding buck bedding areas. Not all of them are created equal and much depends on what type of terrain and time of season you are hunting. But if I were to point out something that’s consistent when I find these beds, regardless of the type of terrain and season, it’s that they are bedded in spots where they can see in front of them with some kind of obstacle behind them, and the wind to their advantage, typically at their back so they can smell what’s behind them as well. A good way to confirm bedding is to find those flat spots on the ground where it might look like a BIG deer laid there and check for deer hair. Some added tips that can confirm bedding are finding BIG droppings and tracks in the bed and on their entry/exit trails. Not all mature buck beds have rubs in them, but if they do, it can be a great confirmation as well. Pay attention to the height of the rub. Higher rubs (waist high or higher) are a good indicator that a mature buck was the one to leave the sign. Rubs in and around beds can be a good identifier of a buck bed. Observation sits, especially if you are impatient, are not mandatory, but they have the ability to give you very good intel from afar if you want confirmation that perhaps a mature buck is in the area. Instead of going in for the kill right away, an observation sit gives you a chance to see if you can get eyes on a buck coming from a bedding area that you believe him to be using. I advise finding a spot at least a couple hundred yards away and glass where you think they might end up on the transition of their bedding area. When hunting buck beds, choosing the right kill spot is probably the most important (and difficult) step. 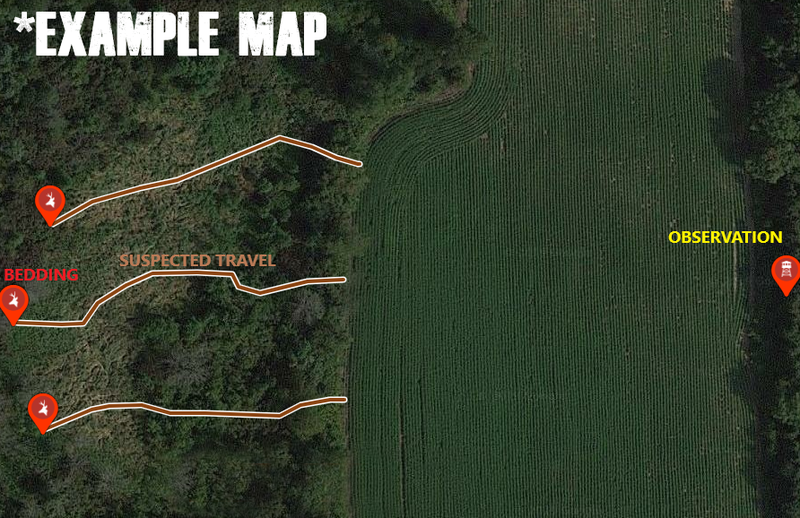 You’ll want to walk the exit trails leading out of their bedding area and find the perfect tree within shooting distance of the specific trail(s) you are targeting. A few yards can make all of the difference, so if you are not finding that perfect tree, hunt from the ground if you have to. I say that because if you keep walking away to find the tree, it may take you out of the game. If you are too close to the bed, but set up there because there’s a good tree, that may take you out of the game as well. No matter where you set up, make sure you are JUST out of sight, hearing and smell of a potentially bedded buck. I suspect that this procedure will involve a lot of trial and error. Keep in mind that most bedding is wind specific. Just because you are finding bedding doesn’t mean a buck will be there when you hunt it, it’s your job to figure out when you suspect he will there and that’s where observation sits can play a big role. Either way, success or not, after giving it a shot you will learn that much-needed ingredient, getting you one step closer. Added Tip from Scott: Most of the buck beds you find will be a bed that has been used for several years by multiple bucks. There is a reason why they are bedded there. Finding old rubs in them is a great way to identify that. It is very important to have great access. 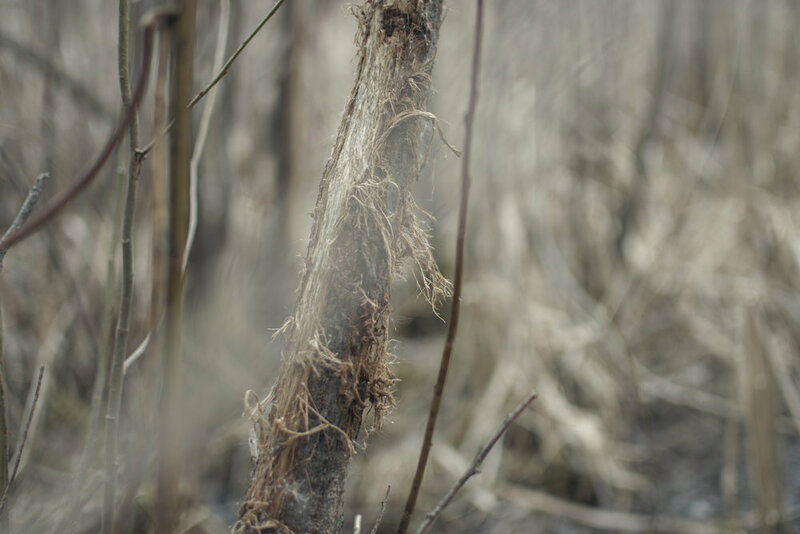 You want to stay out of sight and make sure your scent isn't blowing into the bedding while in-route to the stand, which may leave you no choice but to take the long way around. You also need to be very quiet on the home stretch leading up to your hunting location. You want to try your best not to make any noise, so give yourself some time given the fact that you are setting up close to where you think a buck is bedding. Buck bed hunting isn’t something you learn overnight, it takes a lot of boots on the ground scouting, mistakes, and dedication. You won’t master this by reading articles, forums or watching videos at home all the time. I can say that it has helped my overall success and confidence as it has given me a lot more opportunities than I used to get sitting on a field edge. If this is something you are wanting to get into, don’t get discouraged after the multiple failed attempts, and remember to still have fun, as that is what the ultimate goal should be. Older PostCell Phones While Hunting - Good or Bad?